Finger numbness and pain is a common pregnancy symptom. Around 20 percent of the total pregnant women suffer from this condition. What causes pain and numbness in fingers? This condition is mostly caused by the carpal tunnel syndrome. The pain is concentrated around the thumb, index and middle fingers and half of the ring finger. The continuous weight gain and swelling in pregnancy can cause the nerves in the woman’s wrist to compress. Also, due to rise in the level of pregnancy hormones, the body of the mother retains water and feels bloated. Due to all these reasons, there is pressure on the nerves of the wrist, particularly the carpal tunnel which carries the nerves to fingers. It becomes swollen and pinches the nerves in the hand causing burning, irritation, tingling and numbness in fingers. The problem could flare up to the arm too in some cases. The sensation is different from the tingling sensation you get when the feet or hands fall asleep. When does a pregnant woman become prone to this trouble? Although the woman may show signs of swelling and numbness any time during the pregnancy, it is mostly confined to the last trimester of pregnancy. The symptoms mostly show up during the sixth month of the pregnancy, when the mother’s body is going through several other changes as well as she is preparing for the arrival of the baby. The pain and numbness may be accompanied by swelling of ankles and feet as well. The condition automatically subsides after the baby is born. In some cases, the swelling reappears after the delivery and may cause much trouble. In such a situation, a simple surgery may be needed to reduce the pressure on the median nerve. Try changing your sleeping position during night if you feel pangs of pain. Avoid sleeping on your hands as it may alleviate the swelling due to pressure. If you feel pain while you are in bed, gently shake your hands for some time until the discomfort lessens. Hand and wrist exercises like gently rotating the wrist in clockwise and anticlockwise direction will help reduce the pain. 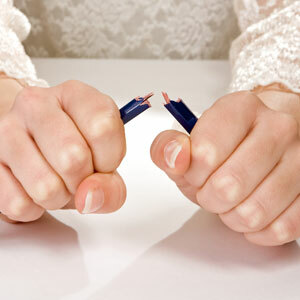 Although, if doing so does not help you, discontinue it as flexing the wrists or fingers could make it worse too. Sit with your hands raised above your head for some time. The hands may be supported by a chair or sofa back during this process. Using a cold compress can help reduce the pain and swelling. Avoid using a hot compress. Soaking the fingers in bowl of water with chamomile or lavender oil could also help in getting relief from pain. If the pain and discomfort has started interfering with your daily sleep routine, it is time that you consult your doctor. The numbness should not interfere in your daily activities. To avoid such a situation; the doctor may prescribe a mild painkiller and/or wearing a wrist splint during the day. Do not take any medications for pain without consulting your doctor. If your diet is deficient in vitamin B6, the doctor may prescribe a supplement for the same. However, if your diet is balanced and you are already taking prenatal vitamins regularly, such a deficiency will not be present in your body.